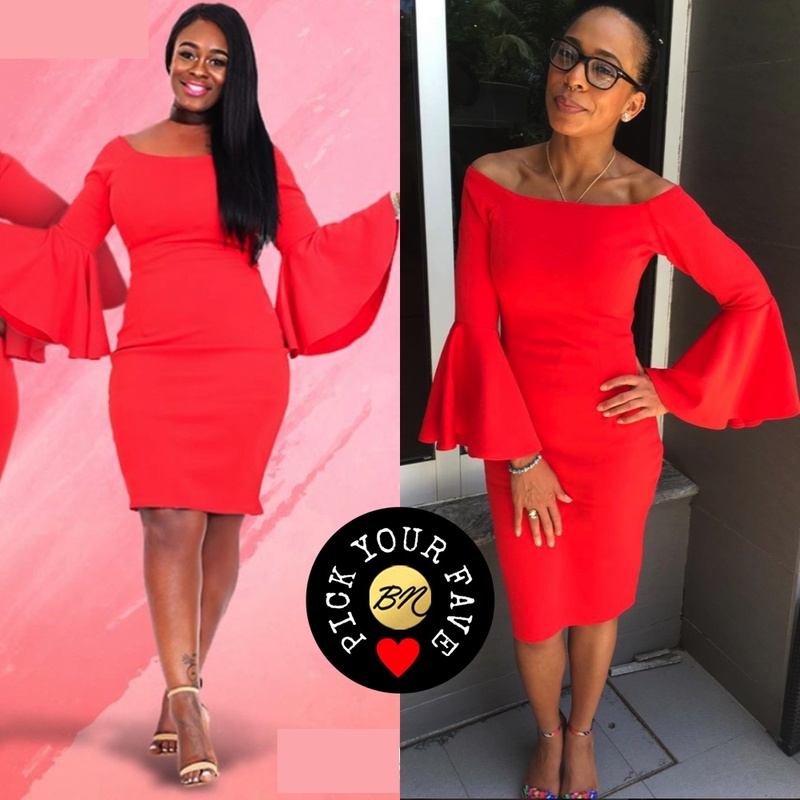 For today’s BN Pick Your Fave, we have former #BBNaija Housemates, Uriel and TBoss in this red dress from Payporte. 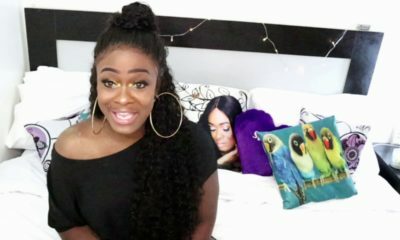 Uriel styled the dress with beige sandals and a black choker necklace while TBoss rocked the same red off-shoulder dress with multicoloured sandals and gold jewellery. What do you think, who rocked it better? T boss nails it for me. Uriel brought the dress alive. Tboss did, I prefer it as off shoulder. You can’t compare a modelling/ad shot with an impromptu ig picture now. Tboss and uriel look great anyway. 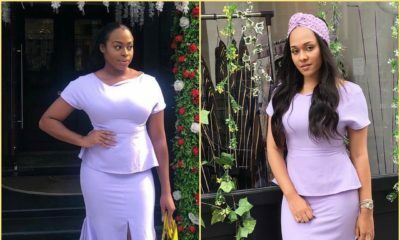 Uriel fills the dress out nicely but I guess some people prefer Tboss’ slimness. It’s not a fair question as both ladies will appeal to different people, depending on one’s personal appeal. 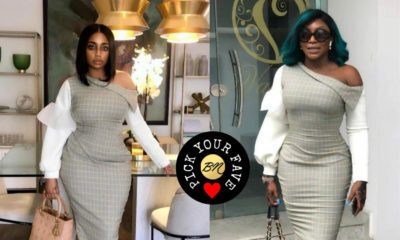 Most times this ‘who wore it better?’ question is asked, it’s really about who styled it better. In this case, there’s no question. BN just dey find trouble. Y’all just milking this Tboss fever for all it’s worth for traffic sake. URIEL MUSICAL NAILED IT… YOU ROCK!!!!! !